Charley Kohlhase officially ‘retired’ from NASA’s Jet Propulsion Laboratory in 1998. At his retirement party, a recording was played of Carl Sagan, who had died two years previously. ‘…. His voice suddenly, pleasingly rang through the room. From the afterlife, Sagan implored, “Charley Kohlhase’s name should be as well known as Michael Jordan’s!”’ (from ‘Ambassadors from Earth’ – Jay Gallentine, Nebraska University Press, 2009). Sporting heroes today are celebrated with much media pomp and circumstance. On the other hand those who contribute to the advancement of science and technology generally remain unknown outside their field. Rocket scientists are among these real, unsung heroes of human progress. As rocket scientists go, Sagan was certainly right about Charley! Charles E. ‘Charley’ Kohlhase, Jr. is one of the most accomplished and revered figures in unmanned spaceflight and solar system exploration. He worked for forty years at NASA’s Jet Propulsion Laboratory (JPL), leading the mission design and management of many of their greatest successes, from the early days of Ranger and Mariner missions, through Viking, the Voyager ‘Grand Tour’ and Cassini. Since ‘retiring’ in 1998 he has continued to advise JPL until 2014, serving as a technical consultant for the Cassini, Mars Sample Return and other future Mars missions, Genesis, Kepler and the planned Jupiter Europa Orbiter, as well as participating in the choice of landing sites for the twin Mars Exploration Rovers and working on risk assessments for a variety of future programmes. He is also on the Advisory Council of the Planetary Society, an accomplished writer, speaker, digital artist, photographer and a committed environmentalist – a true Renaissance Man. Charley spoke on the Voyager Panel at this year’s Spacefest, and I had the opportunity to speak with him afterwards about his long and distinguished career at JPL. RocketSTEM: What initially motivated you to work in the space programme? Charley KOHLHASE: “When I was young my grandmother used to tell me adventure stories, so when I started reading I read such stories, like the ‘Count of Monte Cristo’ and ‘The Three Musketeers’. She also introduced me to the beauty of nature, art and architecture. Then later I got into science fiction adventures too. Sometimes, I found myself wishing to escape from regimented family life and the private military academy to which I had been sent by my father, a strict disciplinarian. People like my school friends said they would see me lying on the lawn at night looking up at the stars. I also had an inspirational teacher at school who taught me to enjoy math and to reason. I was a dreamer, but I was also curious, and must have had an internal desire to know what was out there. “However, my father did not encourage me in that direction. In fact, he insisted the only thing worth studying was mechanical engineering, and so he paid for my tuition to go to Georgia Tech, but only as long as I studied in the mechanical engineering department. At the end of my sophomore year, I guess the call to science was very strong, so I changed to physics. It bothered him so much that he said ‘You’re making a great mistake.’ Then he cut off all support to me from that point on. And so, for the last two years I basically had to pay my own college expenses and I did so by being responsible for one of the large dormitories, to make sure the students behaved. I also taught physics and math classes at the freshmen and sophomore levels and received a small stipend for that. 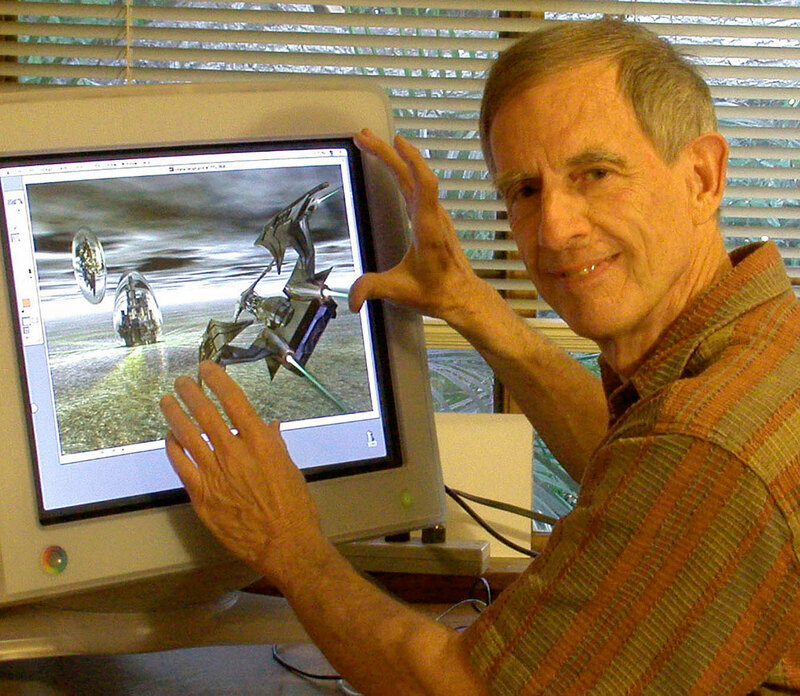 Charley at work in his home in 2010, designing a futuristic space scene. RS: Were you reconciled with your father afterwards, once your career at NASA developed? RS: You started at JPL when you were 24. How did you come to work there? KOHLHASE: “At first, when I graduated from Georgia Tech I had a commitment to put in time with the Navy. I was a Naval Reserve Officer Training Candidate (NROTC) student at Georgia Tech. When you went through college, by taking courses through the navy, you got your degree from college while also receiving a commission. I became an Ensign in the Navy and reported to duty on an aircraft carrier called the U.S.S. Essex with the 6th fleet in the Atlantic. It’s funny, the way I ended up there. “I was playing golf one day and the lady I had been assigned to play with was special assistant to a Congressman, which I didn’t know at the time. During the round she asked me what I wanted to do after I graduated. I told her I had to put two years into the Navy and said I’d like any assignment related to physics, so she got me an assignment that first sent me to nuclear weapons school at Albuquerque, New Mexico. I was then assigned to an aircraft carrier because it had the ability to carry nuclear weapons. And, further, the Congressman had me assigned to a carrier operating out of the Atlantic, because I was vulnerable to sea-sickness and the Pacific was much rougher! So I put in my two years with the navy, starting in June 1957, first on the Essex, then the carrier U.S.S. Independence. However, after that, I knew I didn’t want to make the Navy a career. RS: How long had JPL been operating at that stage? RS: These must have been very exciting times? KOHLHASE: “They were! It was a unique experience, getting in on the early stages. We lived and breathed each mission, often at the expense of “getting a life,” routinely rechecking our work to ensure success. The early JPL folks didn’t watch clocks or work from 8am to 4:30pm, then race home. We rarely took coffee breaks, and usually talked “shop” during abbreviated lunch breaks. We pondered and worked as needed to get the job done. We were self-motivated and highly responsible. RS: What was your first role when you began at JPL? RS: I understand that you were thrown in at the deep end at one early morning meeting when you encountered two legends of spaceflight at the time. KOHLHASE: “Yes, it was early 1960 and I’d been at JPL for about eight months, when my supervisor asked me to design a trajectory to go from Earth to Mars at the next opportunity in the fall of 1962. He wanted to know the most favourable launch and arrival dates, and asked me to describe what Mars would look like if we planned a safe fly-by on the generally sunlit side of the red planet. By “safe,” he meant not too close to risk impact, given our navigation uncertainties. “So, I walked into this small conference room in 1960, mentally rehearsed what I planned to say and draw on the blackboard concerning a Hohmann transfer ellipse to Mars, then waited for the remainder of the dozen or so invitees to arrive. Not more than three minutes passed before the door opened and in walked Dr. William Pickering (Director of JPL) and Dr. Wernher von Braun. They sat down next to me, Pickering on my left, von Braun on my right. Surrounded by such Titans, I would surely have had a heart attack at that moment were it not for my young age of 24. That is all that saved me from a sudden and early death! RS: Before the Mars missions came about, you were part of the team designing missions aimed at going to the Moon. 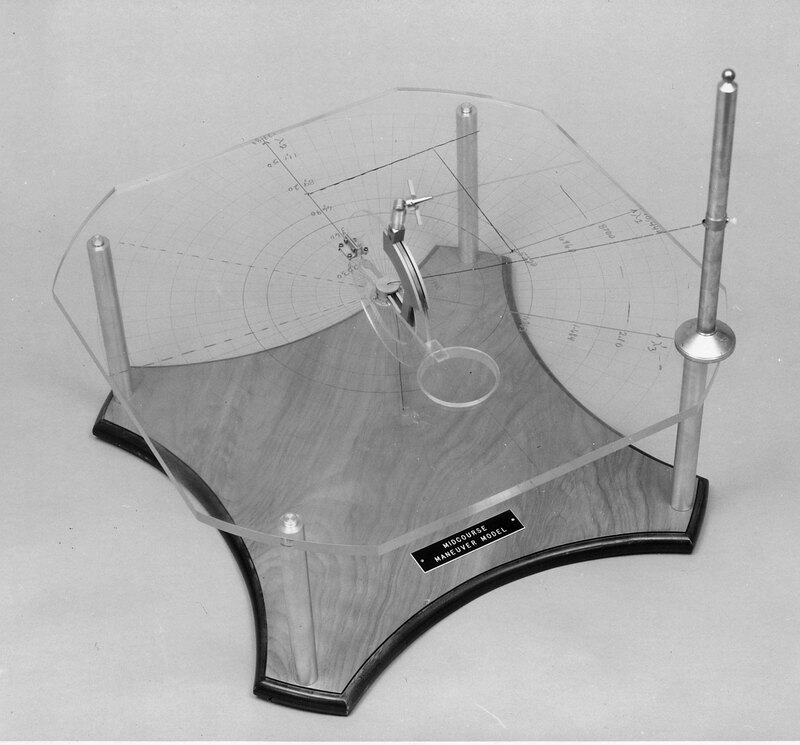 The Ranger Manoeuvre Model, designed by Kohlhase and Curkendall, used to check mid-course corrections on early unmanned flights to the Moon. KOHLHASE: “Yes. There were nine Ranger missions to the Moon (between August 1961 and March 1965). Several of the early Rangers failed and the Lab was greatly criticised for that. (Note: Congress launched an investigation into “problems of management” at NASA-JPL at the time) Although many of those were mistakes by the launch vehicle contractor, and the later Rangers were generally successful, it was felt that the Lab had too academic an attitude, and that its people weren’t disciplined enough to make sure that mistakes weren’t made. Soon this resulted in Deputy Directors coming in from the military – retired generals or admirals brought in to shape us up and give us more rigour, and to get us away from a perceived ‘loose’ Caltech-JPL attitude. “In that regard, a young engineer was doing the manoeuvre analysis for Ranger. This involved tracking the Ranger spacecraft after launch to determine its orbit and, if it was not on target for the Moon, making a mid-course correction by rotating the spacecraft and firing its engines to correct the trajectory. The young engineer gave the spacecraft team a series of turns and a burn to execute. However, these instructions took Ranger further from the Moon rather than closer because there had not been a firm agreement on the sign convention (minus or plus) to use in the calculations between the navigation team and the spacecraft team. It hadn’t been carefully defined. That shook up the people at the Lab and they didn’t ever want that to happen again. RS: You mention the computer programme. What was the computer capability back then in the early 60s? Could you pre-programme much of what happened on board the spacecraft? RS: Computing power was only one of the challenges you faced working in this totally new field of robotic planetary exploration. KOHLHASE: “There were many new challenges. But the secret was that once I did a job on any particular programme, whether it was Ranger, Mariner, looking at trajectories, navigation or targeting, as soon as I’d developed that particular job skill, and the supervisor said ‘That’s right, that’s what we want’, then I added a new tool to my experience kit. What helped me the most was that I had the ability to simplify almost anything. No matter how complicated a problem was, I could simplify it to two or three essential parameters. Then I could use those “rules of thumb” to bootstrap myself into each new challenge. “It’s basically about developing what we call an ‘expert system’. A good example can be seen with the big oil companies at that time. They had the resources to know if they got a drill stuck when out in the field, whether they could free it without breaking it, whether to press ahead or not. They had teams of expert consultants that would advise them on what to do if certain situations arose. The small companies, though, couldn’t afford the pricey consultants, so someone had the idea of interviewing them all, then creating a computer programme based on their answers called ‘PROSPECTOR’. It consisted of statements such as ‘If such and such happens, then do this’. It was what we called an ‘If…then…else’ programme. They discovered that the expert consultants operated on no more than about 200 to 300 rules of thumb. RS: It must have been much more difficult when you moved from Ranger onto the Mariner Venus programme in 1962, aiming for another planet, rather than the Moon close by? KOHLHASE: “Well not really, because the principles carry across, whatever the target. 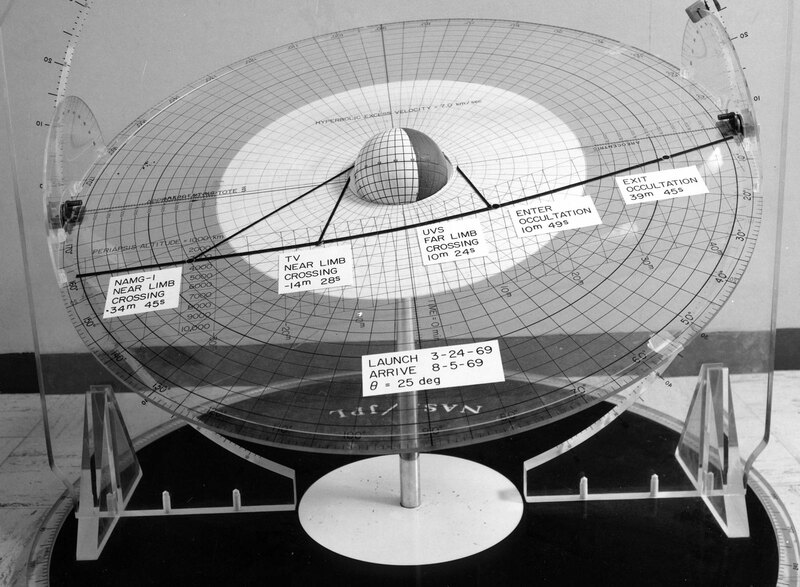 Venus had a different mass and the approach speeds were different, but it was easy to translate the targeting concept from the Moon to a planet, taking into account gravity, celestial mechanics, Kepler’s laws and so forth. Also, as the technology improved and we gained more experience, we felt more comfortable in taking on missions of greater complexity. Although we had fewer people to do the testing in those days, it has always been my nature and that of most of my colleagues to check everything so carefully that nothing could possibly be overlooked, so most of the missions thereafter were successful, say from the mid-1960s, when my own role carried more responsibility, through to the successful Cassini launch and Mars Pathfinder missions in 1997. Mariner 7, following Mariner 6’s flyby on July 31, had its closest approach at a distance of 3,524 kilometers, in what was the first dual mission to a planet. 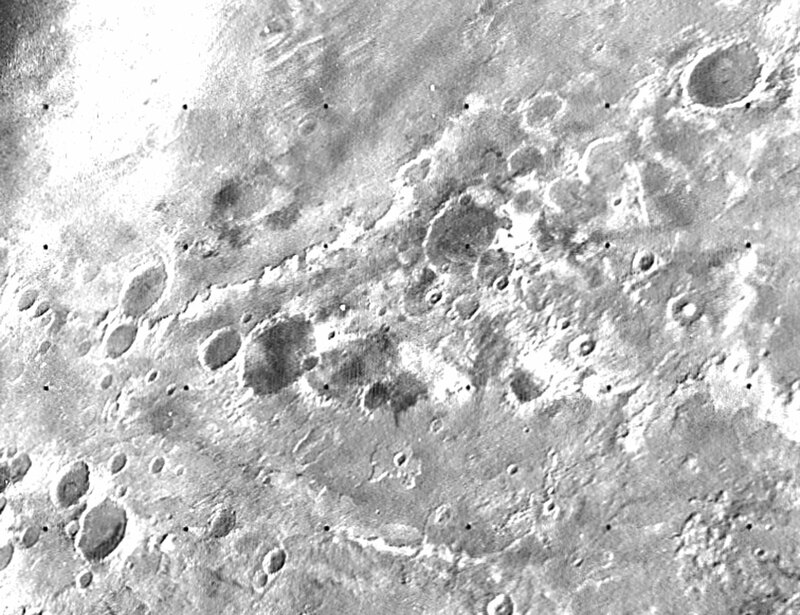 By chance, both craft flew over cratered regions and missed both the giant northern volcanoes and the equatorial grand canyon that were discovered by Mariner 9. Their approach pictures did, however, show that the dark surface features long seen from Earth were not canals, as once thought in the 1800s. RS: Was the mood of excitement comparable with, say, that of the recent landing of Curiosity on Mars? RS: And Mariner 2 did deliver good scientific observations from both Venus and the interplanetary environment during the cruise. KOHLHASE: “It did and from then, as we began to succeed and build up this confidence in people with each follow-on mission, the press began to take more interest, especially on Mariner 6 and 7, the first dual mission to Mars in 1969. First, though, after the Venus mission, Mariner 4 went to Mars in 1964 and was successful. Mariner 3 had failed during the launch sequence when the protective shield over the spacecraft failed to open, but Mariner 4, its twin, made it all the way to Mars and was successful, capturing the first images of another planet. (Note: Mariner 4 flew past Mars at a distance of 9,846 km on 15th July 1965, returning 22 images and detailed information on its atmosphere). RS: From the science point of view, what were the reactions to the first images sent back from Mars in 1964, which showed a cratered world? KOHLHASE: “Well, firstly Mariner 4, then even Mariners 6 and 7, seemed to show Mars as a cratered, somewhat uninteresting place. Mariner 7’s instruments did image the edge of the southern polar cap, showing frost or ice, but Mars did not emerge as a really interesting world until the first successful orbiter, Mariner-71 (Mariner 9), which arrived in November 1971. We had to ride out a dust storm for a couple of months, but then the complexity of the surface and its atmosphere were revealed. The Soviets were there just after us but their lander missions (Mars 2 and 3) failed. “Now, I myself didn’t work on Mariner-71. I jumped to Viking after the Mariner-69 missions. “I was the Navigation Development Team Leader for Viking, but now also got more into the overall mission design, so I was now writing mission requirements and documents on all the systems. In fact, I co-authored a high-level document referred to as the “Mrs. D”, or MRSD, which stood for Mission Requirements on System Design”. RS: When was the decision made to mount the Viking mission and how did it come about? Did what Mariners had shown you have a bearing on this? KOHLHASE: “There was a desire to go to Mars on a project initially called Voyager, believe it or not. It was planned between 1966 and 1968 as part of the Apollo Applications Program, and was scheduled for launch in 1974–75. It was very risky, launching two orbiter-lander payloads piggybacked on a huge Saturn C5. We were going to use the biggest launch vehicle in the US and put two complete orbiter-lander missions on a single launch. They were firstly conceived as precursors for a manned landing on Mars in the 1980s. Then NASA realised that we would have all our eggs in one basket, which would be a mistake, so that was cancelled. And Viking arose in its place in 1968, led by Project Manager James Martin, former assistant manager for the Lunar Orbiter Project. It separated the missions on different launch vehicles and not stacked on top of each other. “Incidentally, later, when I got onto what would become Voyager and we were trying to pick a better name than Mariner Jupiter-Saturn 1977, the name ‘Voyager’ was on a list of names along with ‘Pilgrim’, ‘Nomad’ and others. Because there had already been a programme called Voyager which had been cancelled, several people said it would be bad luck to use the Voyager name for this new mission. Then we said, ‘Wait a minute, we’re scientists, we’re not superstitious,’ and we liked the name so much we went with it. “But let’s get back to Viking. It was very interesting work. It was an expensive, challenging mission which was run out of Langley Research Centre. Martin Marietta of Denver was building the lander and JPL was building the orbiter. “Now, I remember having a hard decision to make in 1974. I could stay with Viking and become the Navigation Team Leader for operations, or I could get on this great Voyager mission, where the planets only line up every 176 years. This would give me the chance to work with Bud Schurmeier again, with whom I’d worked on Mars ‘69 (Mariners 6 and 7). I didn’t think I’d get the job, however, as several other people wanted it, but I applied for it. I’ll never know why Bud finally chose me, but something had happened when I was on Viking which may have played a role in his decision. RS: At that stage, you were a bit like Gene Kranz and others working for Chris Kraft on the early manned missions, writing the rule books and procedures as the missions evolved. RS: For how long were you involved with Voyager? RS: You had to balance the interests of engineers and scientists. That must have been a difficult job, trying to satisfy the requirements of both groups. KOHLHASE: “There were certain engineering constraints we felt pretty strongly about. We could lay those out in the launch date-arrival date space and make sure we avoided, say, flying behind one of the planets and looking back at the Sun if the Earth was in the same direction. There were many things to consider. “I think the most interesting issue we had to deal with was the sheer number of trajectory possibilities. There were some 10,000 of these, taking into account the orbital periods of Jupiter and Saturn and those of their dozens of satellites. The trick was to find the best encounter dates at each planet that gave you the largest number of close encounters with bodies of interest. We also had three different launch opportunities in 1976, ‘77 and ’78. 1977 was the ‘Goldilocks’ opportunity. 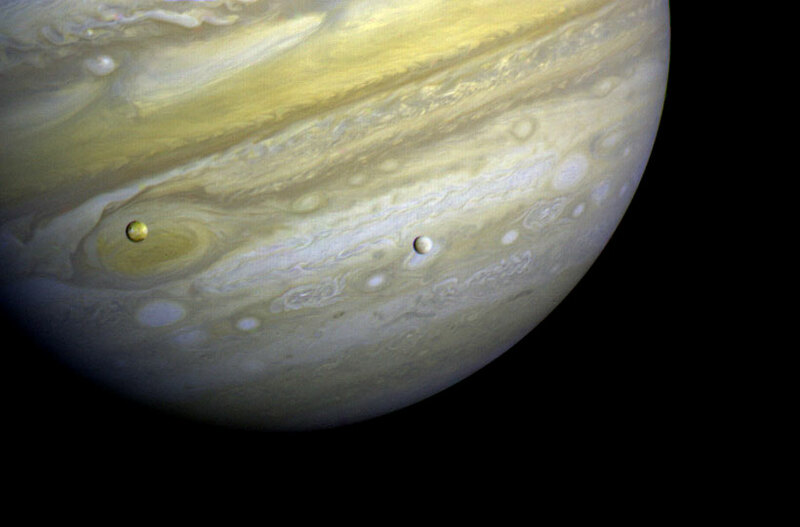 In ’76, since Jupiter is moving faster around the Sun than Saturn, it ‘trails’ Saturn, so to speak. You can still do a gravity assist on the trailing side of Jupiter, but you have to fly very close to get enough deflection to get to Saturn, which is further ahead. In ’77 the arrangement was perfect for flying through the region of the Galilean satellites. In ’78, Jupiter being further ahead, you don’t want too much bending, so you have to fly further away from it and beyond those satellites to reduce the amount of deflection. “Then we wanted to fly by Io, which orbits Jupiter every 1.7 days, so we started dividing the encounter dates at Jupiter into 1.7-day increments. Titan goes around Saturn every 16 days, and we divided up the encounter at Saturn in this way too, but we also wanted to encounter Titan before we crossed the ring plane, rather than afterwards – we called these ‘Titan-before’ encounters. So, basically, my job was to go through the thousands of opportunities over the launch date-arrival date space and choose the best. In the olden days we used to have to integrate the equations of motion in small steps to run trajectories, but we just could not afford the time needed to integrate thousands of trajectories. 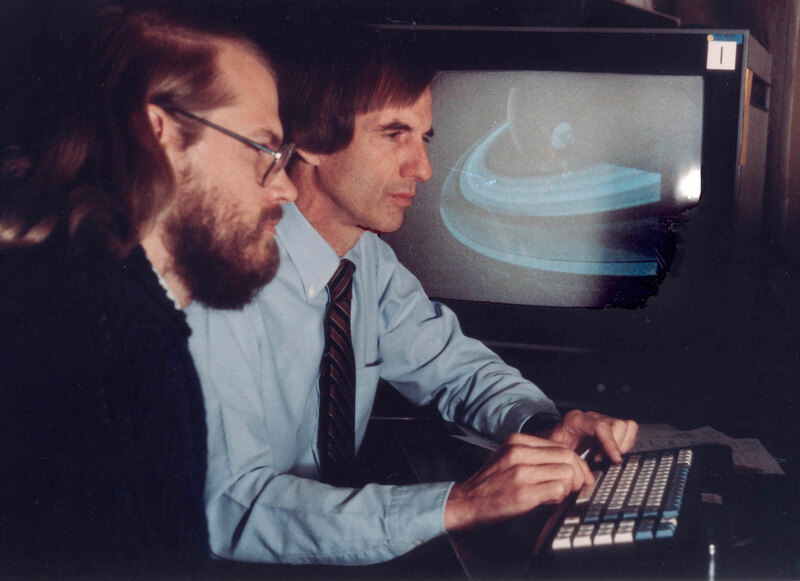 However, we knew we could use “patched conics” – ellipses, parabolas, hyperbolas and so forth – to approximate the integrated trajectories, so we basically developed software that could approximate and run hundreds of cases overnight on a computer. We picked those which satisfied all engineering constraints, then asked the science teams which ones best suited their needs, for example close flybys of certain satellites. “Finally, through this process, out of the 10,000 or so possible trajectories, we targeted 110 with the Titan-Centaur launch vehicle, and finally launched on two of them. By the time we had launched both Voyagers we had pulled it off, coming in within our development phase budget, about $387 million, as we’d promised NASA we would do.” (Note: This is out of a total mission cost of $865 million up to the end of the Neptune encounter in 1989). RS: There was a lot more press coverage of Voyager than the early missions you worked on. KOHLHASE: “Voyager 2 launched first, on August 20th, and this confused the press for a while. (laughs). We said they’d just have to deal with this for a few months until Voyager 1 overtook Voyager 2 in December of 1977! RS: I remember that coverage of the missions was also strong in the UK, both in the press and through TV documentaries. 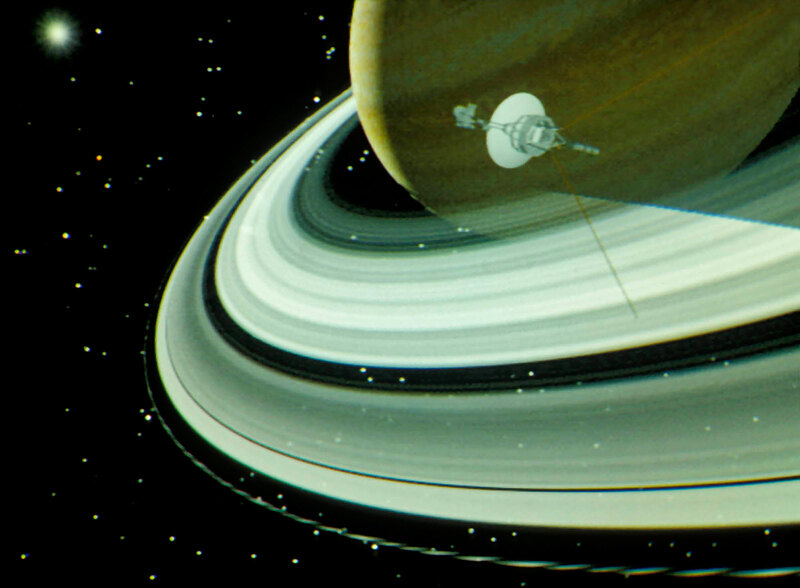 The public perception of the Voyager encounters was also enhanced by your novel computer animations which visualised how they would unfold. This was ground-breaking digital work at that time. KOHLHASE: “Yes, Jim Blinn and I created the first computer-animated flybys for each of the six Voyager encounters. Basically, he created the software and I used it to create the accurate flyby movies as might be seen by a viewer near the spacecraft as it passed through each planetary system. RS: Yes, those first images sent back by Voyager. 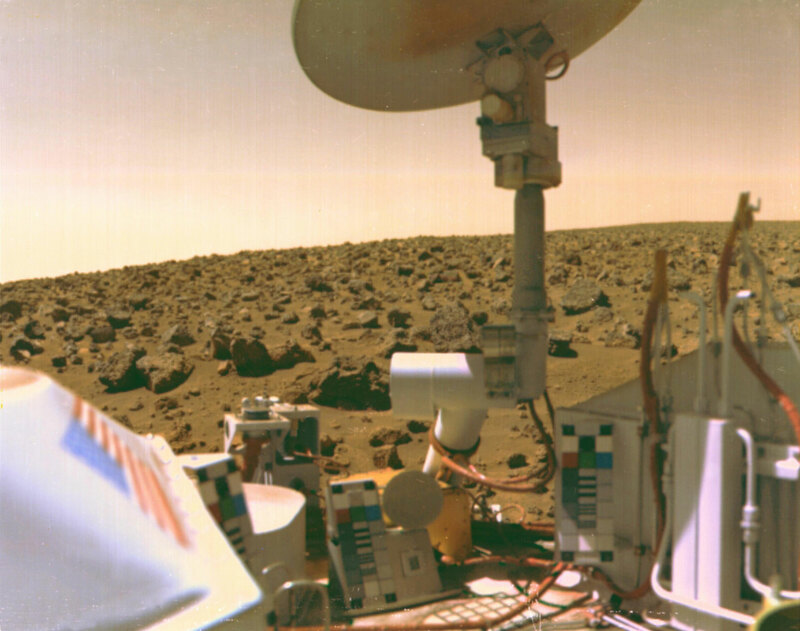 The two spacecrafts’ cameras returned so many stunning and iconic photographs of these beautiful and strange worlds. Do you have a favourite image? KOHLHASE: “It’s impossible to pick one favourite, but one image has a special meaning for me. It’s one taken by Voyager 1 several days out from Jupiter, through its narrow-angle camera, and which shows Io and Europa in front of the Jovian disk. We were beginning to see detail on the surface of these Galilean satellites and they were beginning to look like their own fascinating worlds – we were seeing new worlds up close for the first time in human history.” (a selection of Charley’s favourite Voyager images can be foundin Paul Hoversten’s ‘Air & Space Magazine’ article – see references). RS: How did your role on Voyager change after launch? KOHLHASE: “In theory, and I’m always grateful to Casani for this (Note: John Casani, Voyager Project Manager, Prelaunch Phase), once the Voyagers were launched I probably could have and should have gone to another project, but John said ‘We’d like you to stay aboard, not as the Mission Analysis and Engineering Manager’, which is what I’d been for nearly 4 years, ‘but as the Mission Planning Manager to decide how much we could afford to do at each planet’. Here we have these two spacecraft with limited memory capacity. To programme them to do scientific observations is going to require manpower. There are constraints – we don’t want to put demands on the Deep Space Network which they can’t meet, we want to make sure we’re not trying to send commands during occultations, and all those sorts of things. He said, ‘And further, we want you to limit the size of the computer-controlled scientific observation sequences, so that the sequence team has the time to build and carefully check each sequence load.’ Now, during the mission you send a load up and the spacecraft executes for several days, then you send another load up, and so on. You have to build those in advance, which takes manpower. We had said we’d do the job for a certain cost, and the sequencing team that had to translate all these commands into instructions for the computer needed time to do that. So what my office produced was mission planning guidelines and constraints for the various cruise and encounter mission phases. 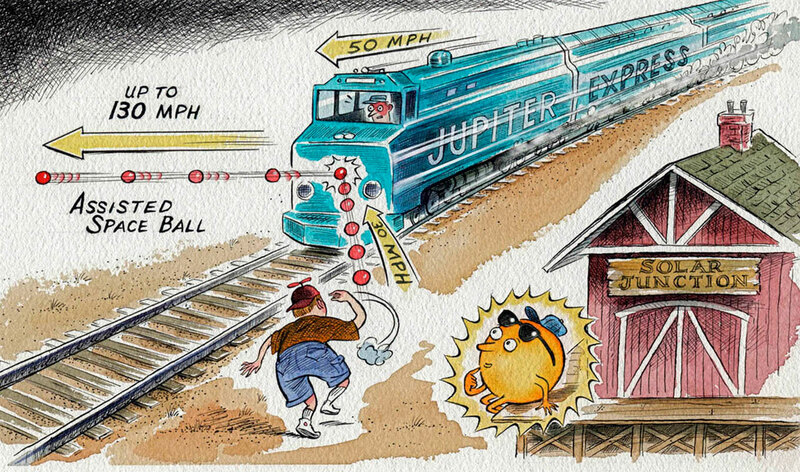 “For example: the encounter period for Jupiter was going to start at minus 80 days and end at plus 30 days. It’s going to be divided into three basic phases, such as far encounter, near encounter, and post encounter. Each phase will have a defined duration and prescribed number of sequence loads; this is the number of activities we’ll have; here’s how much we can afford to sequence. In this way, we basically took each encounter and produced the first thing that came out, the mission planning guidelines and constraints that would be planned for and executed by the sequence team and the spacecraft team with the assurance that they would not place demands on the other teams that they could not meet, but, at the same time, assuring that the spacecraft would be active enough to meet the scientists’ desires. RS: How much time were you putting into Voyager then? 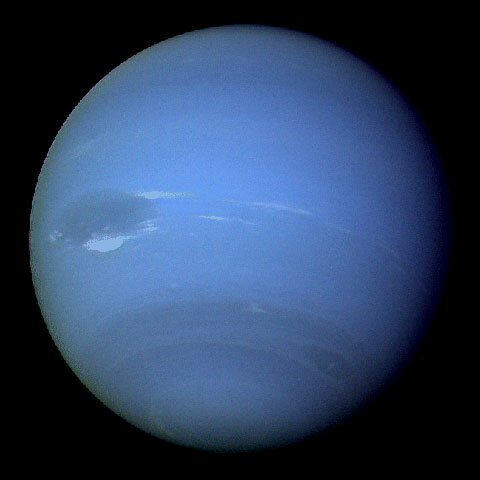 RS: After the success of the previous three encounters, there were concerns in 1988-89 about the final encounter, and about how close Voyager 2 needed to get to Neptune. You wanted to do two occultations behind the planet (note: both of the Earth and the Sun) and also plunge down to reach Triton. This was your closest approach to a giant planet and there were worries that you might lose attitude in the atmosphere. How was the encounter planned? KOHLHASE: “The timing had to be very good. When you’re deciding where to aim for a gravity assist you use a B-plane, which is like a picture you can draw to show different aiming points at the target, such that if you pass through one of these, then you will later fly by Triton, or go through an occultation zone, or any other chosen point beyond the planet. (Note: The B-plane is a planar coordinate system used for targeting during a gravity assist. It can be thought of as a target-plane attached to the assisting body, and is perpendicular to the line of the approaching trajectory). In the delivery of Voyager 2 to this targeting plane relative to Neptune, we only missed the two B-plane coordinates by about 6.5 kilometres. And the timing accuracy was better than one second. Now, as you passed over the pole of Neptune, there were some amplifications of those errors, so the difference was greater when we got to Triton, but the accuracy was still phenomenal. RS: You talked earlier about having a few sleepless nights. Was the need for this degree of accuracy a cause for concern? RS: And then you moved onto another historic mission, Cassini. RS: What was the situation at that early stage in planning Cassini? KOHLHASE: “When I first joined Cassini, it wasn’t yet called that, but Mariner Mark II. It was initially designed as a pair of missions, one an orbiter mission to Saturn with a Titan probe, the other CRAF – Comet Rendezvous Asteroid Flyby. The comet mission was subsequently cancelled in 1992 because of reduced funding. (Note: These were part of a planned JPL programme to explore the outer Solar System between 1990 and 2010, designed to be more affordable than the so-called multi-billion dollar ‘flagship’ missions of the 1970s. Mariner Mark II was replaced by the very successful lower-cost Discovery Programme ). I had people working on the comet mission who were heartbroken and had to leave and find other jobs. RS: And since then, Cassini, like Voyager, has been a major achievement in solar system exploration. RS: You were Science and Mission Design Manager for this very complex mission. How did you and your team plan for the orbital part of the mission after it arrived at Saturn? RS: Cassini obviously had a much bigger payload of experiments and instruments than the earlier missions you worked on. How much harder was the planning process for you and your team, given this increasing complexity of the spacecraft? KOHLHASE: “It was more complicated because there were more interfaces. The instruments interfaced with the spacecraft and with each other, so if you turned on one instrument, you might not be able to turn on another because it used too much power. The complexity goes up, not linearly, but maybe as some power of the number of scientific instruments comprising the payload. “However, no matter how complex it may be, there are four secrets to working in this job. You have to be well-educated. That is, you have to understand the physics, the math, the engineering, and of course the astronomy. You also need to be able to simplify, a skill not many people have. Out of a hundred people at JPL, maybe ten will have that ability, and those tend to be the core group that run each project. So, if you have a problem you have to be able to see your way through to the two or three elements which really matter. You do that by using first principles that you’ve learned over time. You must also have absolute integrity. You must never hide a problem. You share it immediately with the team and you solve it. And finally, you must have a sense of humour! You might have a terrible problem, but you don’t just wring your hands, it’s good to laugh about it to break the ice, then get on with and solve it. RS: Talking of success, you have had a hand in many missions to the Moon and other planets during your time at JPL, and they’ve all been successful. That’s quite a record! RS: Have you played a role in the Equinox or Solstice Mission extensions to the Cassini programme since 2008? RS: You didn’t really retire, though, did you? KOHLHASE: “I’d been retired a few months when I got a call from somebody at the Lab asking me if I would come back and help them by doing some consulting. I said ‘No, I think I really want to stay retired.’ Well, I had a bad taste in my mouth from a disappointing experience. What you don’t know is that John Casani had recommended that I get a NASA Distinguished Service Medal for my 40 years of contributions at JPL. However, a deputy director by the name of Larry Dumas turned it down, denying me something I had earned over 40 years, using the argument that it was only given to Project Managers or higher. Nowhere in the NASA qualifications for this medal was there a caveat like that, there was no condition that said you had to be at a certain level or higher. The best janitor in the NASA service could get the Distinguished Service Medal if he or she had earned it by distinguished service. So, I’d had this wonderful career, I loved JPL, but after this distasteful experience I said ‘No’ and Gentry Lee got the job I’d been offered instead. 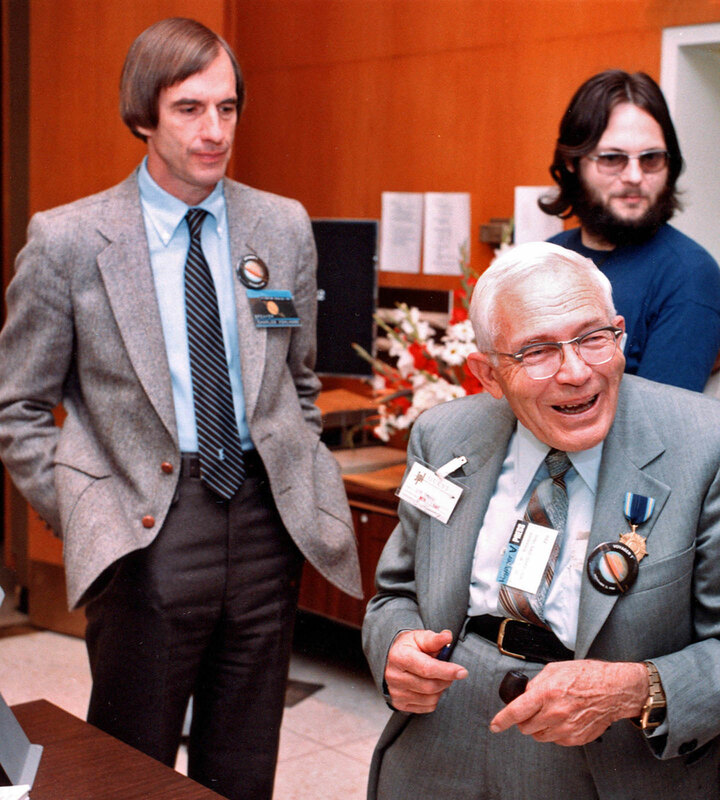 “Then another year passed and Frank Jordan at JPL (Manager of JPL’s Mars Program Planning and Architecture Office) said ‘Just come back and help us a little’, so I came back and started consulting part-time, even though I still wasn’t happy about the medal incident. 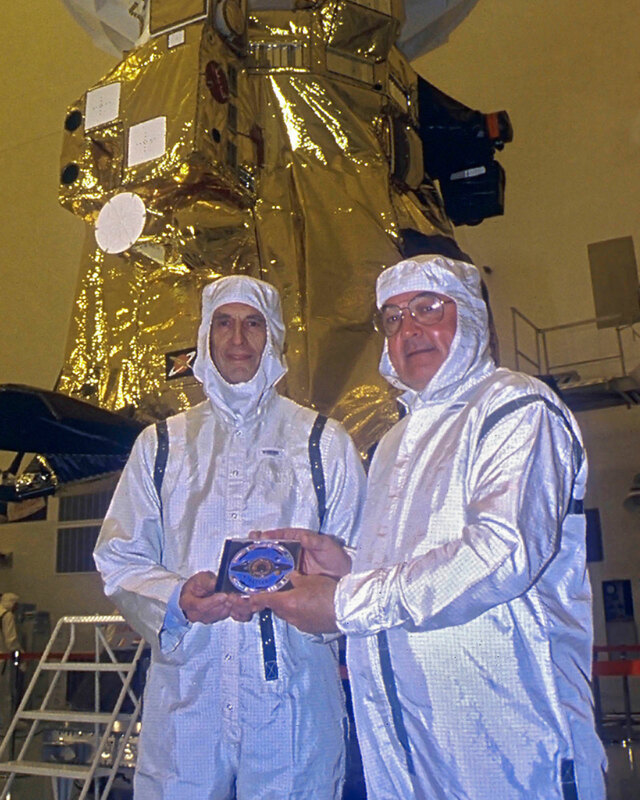 While working there a couple of days a week I ran into Tom Gavin, a friend from Voyager and Cassini days – he’d been Spacecraft System Manager for Cassini – who asked why I hadn’t come back the previous year and I told him about Larry Dumas and the medal. Tom hadn’t heard about this. He thought it was very unfair and went to the existing Director of JPL, Charles Elachi, and said ‘Let’s resubmit the medal recommendation.’ It was done and NASA approved it, so I ultimately did receive the Distinguished Service Medal, not in 1997, when it was first proposed, but in May 2003, 6 years later. I was very fortunate that Tom Gavin, a friend of mine, had risen to a place on Elachi’s Executive Committee, which met regularly, and had Elachi’s ear. Charley’s analogy of the gravity assist flyby of Voyager as it passed Jupiter. Credit: Charles Kohlhase with artwork by Gary Hovland. RS: Fifty-five years and still at the cutting edge of planetary exploration – that’s a wonderful career, Charley! KOHLHASE: “It is, but, you know today, the environment is what I really care about the most. There’s simply no greater problem. “Humans are destroying the Earth. They’re overfishing the oceans, destroying habitat, clearing rainforests, polluting our seas and atmosphere. We have climate warming. All of these issues are really important. One day there will be no more polar bears or Bengal tigers or elephants. I do not understand why people do not elevate their concern for protecting the planet we live on to a level above everything else. Above space exploration, and certainly above defence. Did you know that the US annual defence budget is nearly $700 billion. (Note: It was $673 billion for 2013, nearly 18% of the total US Federal budget. NASA’s proposed budget for FY 2014 is $17.7 billion, or 0.5% of the total). For a one-time cost of $50 billion, a mere fraction of the US Defence budget for only one year, you could permanently protect the last of all the biodiversity hotspots on the Earth. A group called Conservation International has identified these unique areas. The fact that this isn’t being done is a travesty. RS: How can space exploration help us in this respect? RS: Do you see people turning this situation around? Are you optimistic about the future of our global environment? KOHLHASE: “I try to be, but I am constantly discouraged. As I get older, one of the few things that I can take some joy in is that I live in one of the last great eras for the Earth. For my grandchildren and their children, though, I think it’ll be a severely reduced Earth. I can still go to Alaska and see the grizzlies, I can still enjoy a lot of the beauty, but by the turn of the next century much of it will be gone. I don’t know what the Earth will be like at that point. We’ll no doubt still be trying to mass-produce stuff, only to throw it away a few months later, if all we want is new TV sets and transportation to the city, and if we don’t care about songbirds or whether there are any salmon still spawning in our rivers. But that’s not the world I want. RS: Do you have any final advice for how each of us should live our lives? You once penned a 75-word piece on this, I believe. You can find out more about Charley’s diverse interests, his work, science, art, the environment and his world at http://charleysorbit.com. • He was also previously featured in a ‘Spaceflight’ article, ‘Builder of Missions’, Vol.34, February 1992.